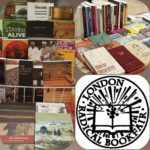 The London Radical Bookfair 2018, organised by the Alliance of Radical Bookshops, will be taking place on Saturday 2nd June at Goldsmith’s University. Please save the date ! The bookfair will also have a free programme of talks, workshops and panels featuring the shortlisted authors of the Bread and Roses Prize for Radical Publishing and the Little Rebels Children’s Book Award. Shalimar Books will once again have a stall at the bookfair, exhibiting books by India’s leading radical, independent publishers. 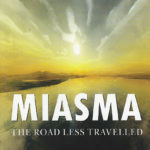 These include Leftword, Navayana, Orient BlackSwan, Three Essays Collective, Tulika Books, Women Unlimited and Yoda Press. 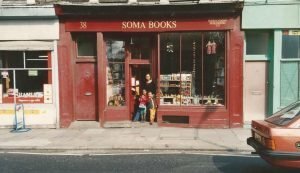 You can find details for the event here; https://londonradicalbookfair.wordpress.com/. We hope to see you there ! 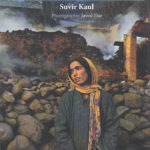 Two reviews of the Three Essays Collective title Of Gardens and Graves: Essays on Kashmir and Poems in Translation by Suvir Kaul. As Huzaifa Pandit points out in the first review below, Of Gardens and Graves is “hard to classify into a genre”, comprising as it does essays, translations of poetry and a photo-essay. 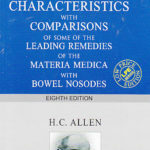 A full description of the book here. We are extremely pleased to announce that at a meeting at the World Book Fair in New Delhi, Navayana have appointed Shalimar Books as their UK stockholding distributor. 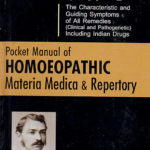 Named after Dr B.R. 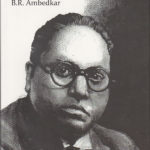 Ambedkar’s socially and morally concerned interpretation of Buddhism, Navayana is India’s first and only publishing house to focus on the issue of caste from an anticaste perspective. 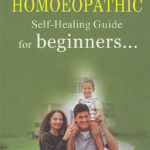 Navayana launched their first titles in 2003. Since 2009 Navayana decided to broad-base its publishing programme, for the struggle against caste cannot happen in isolation from other struggles for justice and equality. 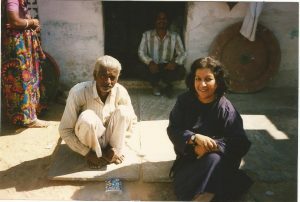 They now publish the best of socially engaged writing from South Asia and across the world: B.R. 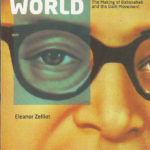 Ambedkar, Namdeo Dhasal, Slavoj Zizek, Arundhati Roy, Michel Foucault, Kancha Ilaiah, Anand Teltumbde, Angela Davis, Gail Omvedt, Jeremy Seabrook, Sharmila Rege, Shashank Kela, Dilip Menon, Eleanor Zelliot, Gogu Shyamala, Ajay Navaria, K. Balagopal, Jacques Ranciere, among others. Independent and politically committed, Navayana publish, as well as non-fiction titles, fiction, graphic format literature, and poetry. The logo of the publishing house is an ink sketch of two buffaloes kissing. The publisher, S. Anand, explains that the iconography comes from an excerpt from Aravind Malagatti’s autobiography in Kannada, Government Brahmana. It is a story about how the ideology of caste does not allow a dalit-owned she-buffalo in heat to mate with a he-buffalo owned by a landlord. 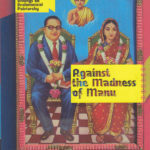 For the cover art of the April 2003 issue of The Dalit, a journal run by the Dalit Media Network, Chennai, Anand approached the artist Chandru (G. Chandrasekaran) with this story. The logo is a close-up of the artist’s interpretation. [Wikipedia]. On 26th March, the new book by Reginald Massey, Shaheed Bhagat Singh and the Forgotten Indian Martyrs, is to be launched at Keats House, along with a special poetry reading. 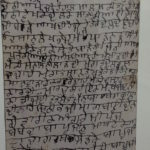 The book will be launched by Professor Lord Desai of St. Clement Danes, and will be followed by poems commemorating martyrs, read in English, Hindi, Punjabi and Urdu. The readings will be compered by Dr. Padmesh Gupta, and the participants inlude India Russell, Sathi Ludhianvi and Pran Sharma. The launch is being held from 6.30 – 8.15 pm on Thursday 26 March 2015 at Keats House, 10 Keats Grove, London NW3 2RR. Nearest tube stations are Hampstead or Belsize Park. 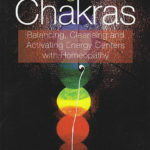 Shalimar Books will be running a bookstall at the event, where the new book and other titles will be on sale. 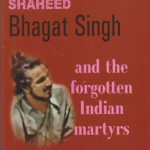 More details about Shaheed Bhagat Singh and the Forgotten Indian Martyrs here. Shaheed Bhagat Singh (28 September 1907-23 March 1931) was one of the most influential revolutionaries of the Indian independence movement. As a teenager he studied European revolutionary movements and was attracted to anarchist and Marxist ideologies. He was involved in the murder of British police officer John Saunders, and eluded efforts by the police to capture him. Soon after, he and an accomplice threw two bombs and leaflets inside the Central Legislative Assembly. He gained widespread national support when he underwent a 116-day fast in jail, demanding equal rights for British and Indian political prisoners. He was convicted and subsequently hanged for his participation in the murder. Reginald Massey has written books on India on a variety of subjects ranging from history, culture and travel to classical music and dance. We have a lot of exciting new books coming out at the moment, this blog post features just a few recent highlights. 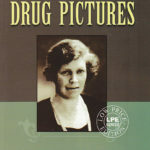 Many more titles on a wealth of subjects are also available to buy online from our shop. 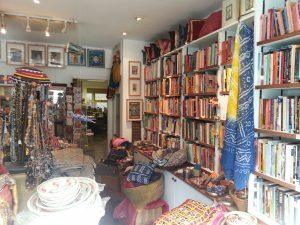 We are the largest UK distributor of Indian books; we also supply to shops, libraries and schools – please contact us for more information. This historic and provocative text is extensively annotated in this edition, and comes with a wonderful introduction by Arundhati Roi in which she puts Ambedkar’s work in its historical context and explores how caste plays out in today’s India. 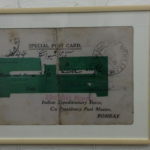 A fascinating account of a man’s rollercoaster ride on a journey of sexual discovery, which is also a moving story of his love affair for India. An intimate and intense exploration of city life in India in the 1980s. This highly acclaimed, ground-breaking graphic anthology brings a fresh perspective to the much-explored theme of partition. These narratives are fascinating and moving explorations of the human effects of partition and people’s enduring curiosity about “the other side”. If you feel, as we do, that the Palestinian perspective on Palestine-Indian relations needs to be heard, then this is essential reading. 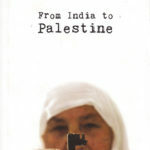 The introduction is by well known Palestinian activist Raja Shehadeh, who appeared on Desert Island Discs in June. Radical booksellers, publishers, artists and activists of all stripes are set to takeover the Bishopsgate Institute on May 10th. All three floors of this venerable establishment will host the London Radical Bookfair & Alternative Press Takeover 2014. With over 130 exhibitors, and 20 guest speakers, this will be a unique gathering of progressive readers, thinkers and doers, in a celebration of radical publishing and politics. This free event is organised by the Alliance of Radical Booksellers (ARB), which formed in 2011 to raise awareness of the radical booktrade. The bookfair provides an annual opportunity to bring the UK’s radical booksellers together to meet in person with publishers and the reading public. The bookfair also allows the ARB to award its two annual book prizes: the Bread and Roses Award for Radical Publishing and the Little Rebels Children’s Book Award. Shortlisted authors from the two awards will be giving talks and participating in panel discussions throughout the day as part of a programme which will culminate in the announcement of the winning titles by the guest judges in the Great Hall. There will be talks on all of the titles shortlisted for the Bread and Roses Award, with speakers including Rob Evans, Ben Griffin, Oscar Guardiola-Rivera, Barry Kushner, Katharine Quarmby, Andrew Simms and Imogen Tyler. The bookfair will also hear from the guest judges of the prize: editor of The F-Word blog Jess McCabe, associate editor at The Guardian Seumas Milne, and writer, philosopher and activist Nina Power. There will be a panel discussion on the Little Rebels Children’s Book Award, which will be hosted by Wendy Cooling, guest judge and founder of the Bookstart programme, and will include shortlisted authors Deborah Chancellor, Gill Lewis and Geraldine McCaughrean. Another discussion will take place on the subject of radical children’s literature, with children’s authors Alan Gibbons and Catherine Johnson, Ann Lazim from the Centre for Literacy in Primary Education, and Kim Reynolds from the Institute of Education. A discussion on ‘Radical Black and Asian Publishing: Legacies and Continuing Challenges’ will be chaired by Sukant Chandan and include Eric Huntley, co-founder of Bogle-L’Ouverture Publications, amongst other speakers. In addition to these talks, there will be a virtual tour of the invaluable collection of radical materials at the Bishopsgate Institute, presented by resident librarian and archivist Stefan Dickers. The London Radical Bookfair will be showcasing the depth and breadth of radical publishing in the UK by filling Bishopsgate Institute’s Great Hall with some fifty stalls from booksellers and publishers. There are currently other bookfairs dedicated to progressive titles, but they tend to focus on tightly defined political traditions. 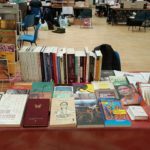 The aim of the London Radical Bookfair is to be a broad church that brings together these traditions and makes them accessible to a wider audience. This year, for the first time, the London Radical Bookfair has teamed up with Alternative Press (AP), whose extended family of writers and artists will be exhibiting and selling their self published comix, zines, art books, and prints in the Upper Hall. 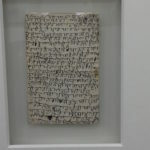 They will also share their expertise by leading workshops in print-making and book-binding. To celebrate the collaboration between the two fairs, AP artists have created a series of artworks inspired by the Bread and Roses shortlist, which will be on display throughout the day. Shalimar will be displaying a selection of the Indian books that we distribute at the London Book Fair. These will be on Stand O 605, courtesy of our friends and colleagues from NCBA whose stand it is. 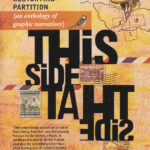 The selection includes books from Three Essays, Tulika Books, Women Unlimited and Yoda Press, including the highly acclaimed graphic narratives title This Side That Side. We would be very pleased to welcome you to the stand, and discuss your requirements for Indian books. 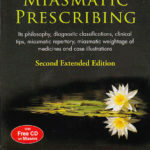 We work with leading publishers and distributors in India, enabling us to supply titles on all subjects from all regions of India. 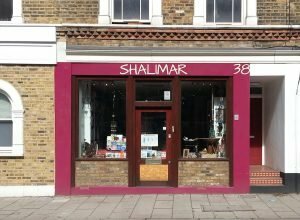 Shalimar representatives at the London Book Fair are Anand and Melanie. The London Book Fair runs from 8th to 11th April at Earls Court. 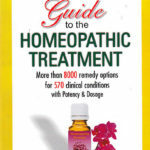 We are delighted to announce the arrival of our new selection of books on homeopathy. 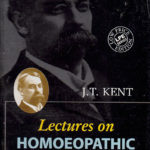 These books have been chosen with professionals, students and home practitioners in mind, and represent homeopathic writers both past and present, including Hahnemann, Kent, Clarke, Boericke, Tyler, Allen, Roberts, Close and Herschu. 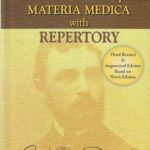 Here you will be able to find repertories, materia medicas, and homeopathic books that specialise in all subjects from children and chakras to mental health and veterinary studies. 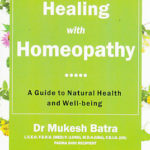 As well as books on homeopathy we have included a small selection of books on other complementary therapies such as ayurveda, acupunture, herbalism, reflexology, flower remedies and nutrition. 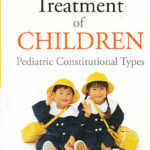 For the full list of the books that we stock on this subject, please click here.